We recognize that you may be concerned about our use and disclosure of your personal information. Your privacy is very important to us, and the following will inform you of the information that we, Law Office of James Mendez, may collect from you, and how it is used. 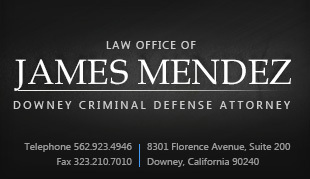 By using our website, www.jamesmendezlaw.com, you are accepting the practices described in this policy. If we collect sensitive information (such as credit card data), that information is encrypted and transmitted to us in a secure way. You can verify this by looking for a closed lock icon at the bottom of your web browser, or looking for "https" at the beginning of the address of the web page. Please keep in mind that whenever you voluntarily disclose personal information online - for example through e-mail, discussion boards, or elsewhere - that information can be collected and used by others. In short, if you post personal information online that is accessible to the public, you may receive unsolicited messages from other parties in return.